Adxstudio portals provide a very efficient way of displaying system and custom entity views of Dynamics CRM in portal pages. It also provide a number of customization and configuration options which we’ll see in this post step by step. Now we need to create the Entity list. For this go to Portals > Entity List and click New. 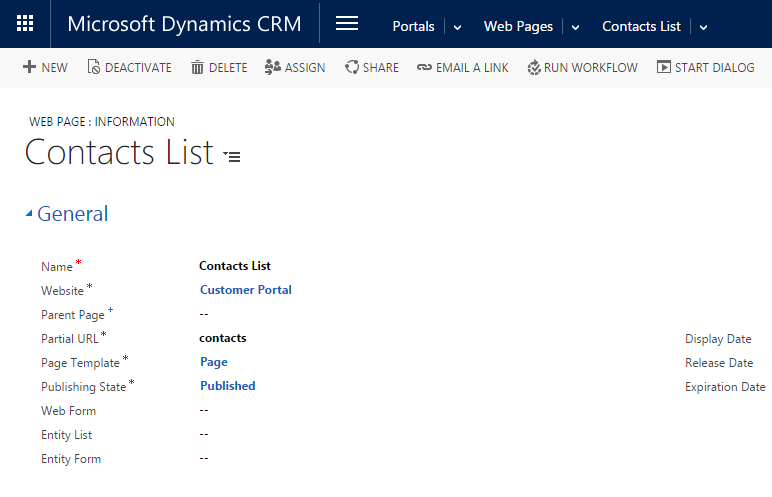 You can add as many views as you want and they will appear in the drop down just like Dynamics CRM. Now we need to assign the newly created web page to the list. For this go to the Web Pages tab at the bottom and click on plus button to add an existing page. Note: The Adxstudio support JQuery by default so you don’t need to do anything for adding JQuery reference. 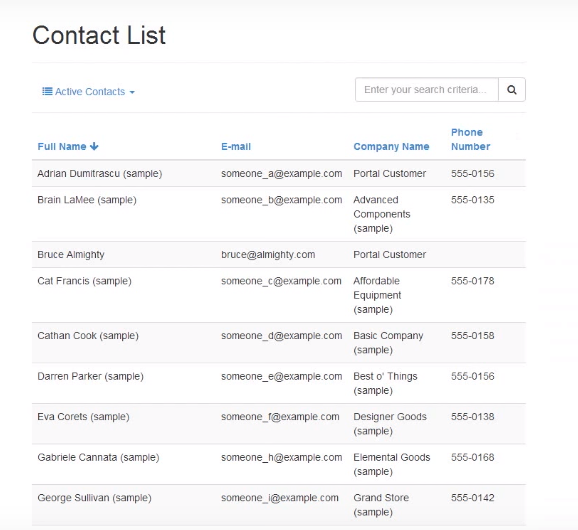 Save the form and browse to your newly created page in the portal and you will see a entity list as shown in the screenshot below. And that’s it you have successfully created an entity list in the Adxstudio portal.